The minimum viable product or MVP can be an important aspect of the app development process employing a good quality work for most businesses with an idea to make a difference. Build your app with MVP model to improve your user understanding and cater to their needs. Undeniably, the dream of celebrating the app launch brings the colossal happiness. Soon, the dream turns into a nightmare with trepidation of investing a hefty sum in app development that doesn’t pay off. The entrepreneurs subtly understand that they should make all the efforts to get everything right, but if something goes wrong, then it will be a big failure. Be it changing trends, people’s dislike for the innovation, or the glitches in the app. This is really embarrassing. To mitigate the risks and better deal without the blue scenarios and their poor consequences, most of the entrepreneurs consider minimum viable product (MVP) development approach. This approach is embraced by the leading mobile applications like- Uber, Instagram, Facebook, Twitter, FourSquare, Airbnb and Buffer that have gained immense popularity worldwide. The essence of MVP lies in its name itself. It’s a product that has a minimum set of features, which is ready to use and can be tested with the target audience. Don’t confuse the MVP with the prototype because it’s a complete solution with fewer features, which is built to gain the user’s response to the app idea. With little resources, lot a lesser amount of money and time, it’s developed to solve the user’s problem and engage them. The MVP of the app is an experiment which vividly showcases the entrepreneur that their ‘Billion dollar’ app idea will get a huge traction or becomes an app that no one wants to share. In brief, the MVP is an early version of the app which lets you test the app idea and analyze what’s wrong that needs to be refurbished in the final version of the app. Many times, considering MVP as a primitive version of the app, it’s released in the market in a hurry, which doesn’t give a better understanding of the user’s expectations that should fit well in the app. 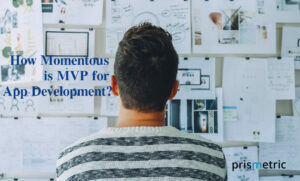 The MVP must be planned before kicking-off its development as an important part of the app development lifecycle. Determine the primary goal of the product, the main processes with which the users will go through when using the app, and set of features to integrate into every stage. It’s crucial to prioritize the features in the MVP, so conduct the extensive research as the set of core features will define the app will be warmly-cuddled by the users or trashed by them. The next step is to start engineering the MVP, once you are pretty sure that app idea is viable. The team should use the right mix of technology and talent to build the MVP that performs to the notch. Don’t underestimate its potential and take it for granted. Note: When the MVP development begins, mostly, the team gets distracted from the goal, so don’t let it happen. Otherwise, the purpose of creating MVP won’t get fulfilled. Also, following lean development process and focusing on ‘Why’ and not ‘What’ factor will help in creating a perfect MVP. When the MVP is well-developed, it’s time to take the app idea to the world and assess the user’s response. The entrepreneurs can use myriad of channels and platforms to publish the MVP and let it get tested by the potential users whose feedback matters a ton to the app. It’s again about MVP. Yes, it’s not necessary that the MVP launched is perfect with no room for improvements. The changes will come and the team has to incorporate them in order to analyze whether it adds value or not. The continuous testing, iteration, and enhancements will help in discovering that the app idea holds enough value for the people that they like to use it. Finally, you get the way how to create an MVP. You should know what are the bunch of business benefits that the shortest possible route to reach the market offers. The startups definitely don’t have enough budget that they can experiment with different app ideas. The reason is they cannot afford to be unsuccessful when the app fails. The huge investment leaves them clueless about how to get the concrete app idea live. The MVP helps them to participate and stand ahead in the race of mobilization. The startups can have the small version of the app that’s beautifully designed and developed to serve the purpose with the minimum resources, time and dollar investment. Later, if the startup wants to enhance the app with a set of features, they can test them again using an MVP approach. Thereby the app development cost is significantly reduced. Going with your own instinct means speculating the app in the market. It’s a big risk which is escapable through MVP. With MVP, not just the app idea goes live, instead, you can keep monitoring the user’s feedback on the continuous iterations. You can even do the split testing by considering a particular feature where the changes in the user feedback can be observed in various MVP variables. The insights unearth the key points such as which feature is getting more traction and making the app hit. Spotify, Buffer, and Airbnb are the best instances of MVP that have spot new opportunities and experimenting with new features to identify the user’s response, potential obstacles, and risks. You cannot guarantee that the efforts you put into building the app will definitely bring rewards when the app made its way to the market. The market trends and user expectations are changing radically and perhaps, the day when your app is launched, it’s declared as out-of-date or does not align with the user’s needs. Besides, it’s unreasonable to get the user’s reviews in the middle of the app development. The upsetting consequences can be turned upside down with MVP approach. The reason is MVP is the fastest way to build and market the app, that’s based on the user feedback. The continuous iterations will focus on only those features that sync with the user’s needs and enhance user experience. It assures the app can seize a competitive edge in the market by maintaining a pace with the users. Wow! The MVP scored good response in the market, which signals ‘the unique app idea to offer the solution that’s still unavailable’ is liked by the users. Now, you want to scale the initial version of the app, but loads of features to enhance the app which is brewing in your mind has made the situation very difficult. Again, MVP to the rescue. In addition to testing the app idea, MVP also helps in checking the viability of the extra features to implement and identifying whether they will generate the profit or not. Filtering of the features aids in the development of the app that meets the genuine needs and doesn’t let the entrepreneurs inundated with the plenty of features. Go MVP way to set the core features and then eventually conquer the app store with the continuous addition of the features. The MVP is the base of the mobile app cake where the icing will make the cake delicious only when the cake’s base is baked rightly. It signals the rating and reviews for the MVP determines how the app is performing and the combination of technology and trends is working or not. The evaluation of app performance in the early stage helps in knowing that the right set of technologies is used and lets you test the developers’ ability to produce the desired outcome. Also, it’s a good measure to check out if it’s good to go ahead with the same development team when you plan to build the better app. When nothing went fabulously after spending sleepless weeks and months in the development of the app, it discourages the entrepreneurs. It feels like it would be good if the time was spent somewhere else. With MVP, you need a couple of weeks and the app idea can be shipped to the users. Without reinventing the wheel, it’s a good approach to put the efforts on the significant things. The decision is yours- what do you prefer- to spend years on the app that fails or create an app that’s user-friendly and built on the top of the user’s feedback. Moreover, the efforts and time saved with MVP development help the small businesses to plan and scale the business intelligently. With the growing cyber attacks, the security is vital for the mobile applications to win and retain the users. Especially, the mobile apps having payment integration, they are more prone to frauds or malware attacks. The app development journey which starts from MVP to the complete solution lets the developers identify the security loopholes in the initial stage, and along with the MVP variable creation, the regressive testing goes hand in hand that ensures the app remains bug-free from the beginning and the users’ data is in safe hands. The smart step to build the scalable applications or reduce the time-to-market the app is going MVP way. The approach neither lets businesses become over-confident nor fail by providing the reaction of the users for the release of the core of the app at the early stage. When with the strong foundation of the app, you build a strategy and a roadmap to develop what features on priority, the probability of earning the front row seat at the winner’s table is higher as the valid decisions are taken based on the insights and facts. There are countless examples of the popular apps that are prospering today and gained mass acceptance after making their MVP stand out because they learned from the mistake and iterated. Your app idea can also become another instance of the unmatched app that’s well-renowned by people globally. Let’s update the app development strategy with MVP to drive the tremendous success to your app. My two cents- Don’t keep MVP the optional, else you are risking the app to become optional. His admiration for app technology is boundless though! 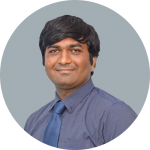 He writes widely researched articles about the app development methodologies, codes, technical project management skills, app trends, and technical events. Inventive mobile applications and Android app trends that inspire the maximum app users magnetize him deeply to offer his readers some remarkable articles. 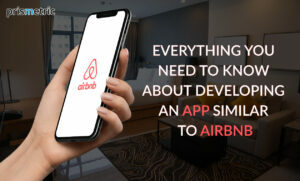 How to Develop a travel app like Airbnb? 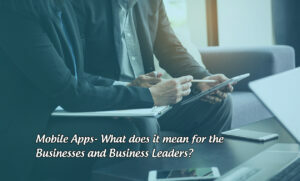 Mobile Apps- What Does It Mean For The Business And Business Leaders? 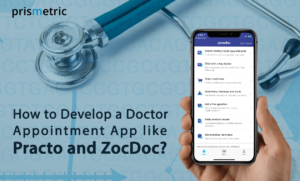 How to Make an App like Practo or Book My Doc?